Detectives responded to a report of a fight in San Marcos and ended up chasing a vehicle through a cemetery before arresting two men in their early 20s Friday afternoon. SAN MARCOS (CNS) - Detectives responded to a report of a fight in San Marcos and ended up chasing a vehicle through a cemetery before arresting two men in their early 20s Friday afternoon. 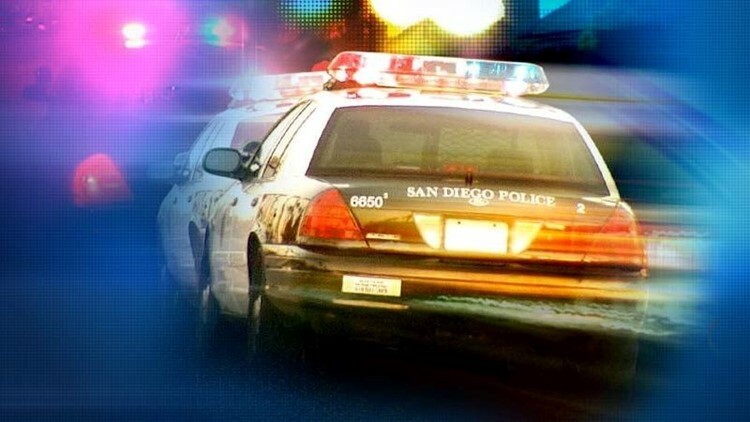 Deputies and detectives responded about 3:25 p.m. to a report of several people fighting in the area of Mission Road and Mulberry Drive and once on scene, detectives spotted a silver Hyundai Sonata, according to San Diego County Sheriff's Department Sgt. Josh Stone. "Believing the vehicle was associated with the fight, gang detectives followed the vehicle, which seemed to be driving aimlessly, and ended up at the San Marcos Cemetery," Stone said. "Detectives waited for assistance from patrol personnel before contacting the vehicle occupants." When deputies tried to stop the Hyundai, the vehicle fled, driving over several graves and exiting the cemetery, Stone said. "The suspect led deputies on an 11.41-mile pursuit through the city of San Marcos which ended at 328 S. Twin Oaks Valley Road," Stone said. "The driver stopped the vehicle and fled on foot, attempting to hide in the bed of a pickup truck in (a) shopping center. The passenger did not run and complied with instruction. Both were arrested without further incident and taken into custody." The driver, identified as 22-year-old Geraldo Lopez of Vista, was arrested on suspicion of felony evading and was found to have outstanding felony and misdemeanor arrest warrants, Stone said. The passenger, 23-year old Miguel Dominguez, also of Vista, was arrested on suspicion of being drunk in public, Stone said.